If you are searching for that perfect valentines gift for a techno-mommy on your list, we’ve got a winner for you! We have stumbled across an iPhone app that is truly a mommy-tool calendaring wonder! The TotalBaby app definitely makes our MyTime Calendar recommendation list! 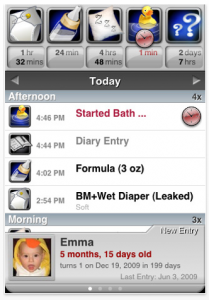 The TotalBaby Application is a calendar and event tracking solution for kids and babies whose application is limitless! Developed in 2009, this application was the brain-child of ANDESigned, LLC and is truly inspired work. It allows you to track multiple children from birth to whenever! To better explain this application, I will use my own family of 4 children as an example. Each child was entered with all their birth information and a current photo. I was then able to enter all their vaccination information through a slick interface that allows you to record by vaccine, date and even be as specific as the time of day. You can also make notes at each vaccination entry about how they reacted, doctor recommendations, etc. Next, I was able to enter all the doctor visits I wanted to for each child. For most of my children, this included just the well-visit check-ups for which I entered their measurement info and any pertinent doctor advice I wanted to keep track of. But I have one child that has had health conditions that necessitated specialists so I was able to enter these “sick” visits as well to track exactly when he went and what was discussed. 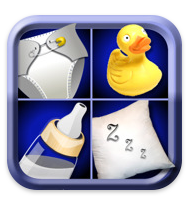 Total Baby is the most Complete Baby Logging and Tracking Application available for the iPhone and iPod Touch. But it doesn’t stop there! There is a wonderful diary entry area for each child where you can use pictures from your iPhone gallery or snap one for immediate use and couple it with any information you want to include. This is great when your child says or does something funny or memorable and you want to remember it but may not remember at the end of the day to write it into your journal. This app lets you jot it down right as it happens! 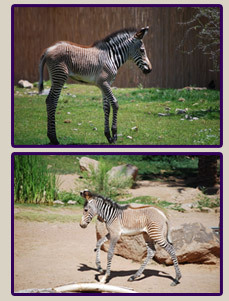 There is also a milestone area…you title each entry so you can track when they took their first step (with photos! ), first words, first smile, or even their first day of school! How about those parent/teacher conferences, concerts or special assignments? Yup, you can record those too! This area also comes with a timing feature so you can track the exact moment you want to notate through a handy drop-down menu that deafaults to the current moment! If you choose, you can email the TotalBaby reports. Just specify dates or "all data" and you get a well organized synopsis of your child's history! This event timing is one of the coolest features. Total Baby combines 13 separate timing and tracking functions into a single complete solution. You can track events for each child like diaper changes, bottle feedings/nursing (even which side they nursed on and for how long!! ), naps, bathtimes, and one of my absolute favorite features (because I have multiple children to track) is the ability to track doses of medication. For instance, if I have more than one child that requires medication, I can track exactly what I give each child (time, quantity and specific medication) so I know exactly what they’ve received and when they are due for another dose. This is invaluable for sleep deprived mothers who may or may not have the ability to trust their memories at two o’clock in the morning. To wrap up our review, all this information is literally at your fingertips! So when your friends ask you “so when was she born?” or your doctor asks “how many wet diapers did he have today?” or your child asks you “what did I do when I was 2?”. Not only is it easily accessible but you can also back up the files as well as email them (choosing all information or just specific dates)! We have looked at several other baby/child tracking apps and this one truly shines above all the rest. For only $4.99, it is a totally fun app that is so practical every mom should have it! Our only complaint (and we had to reach to find a complaint with this app!) was that a growth chart would be very helpful to have in addition to the growth recording abilities it now has. We’re keeping our fingers crossed that this feature will be included in future updates! 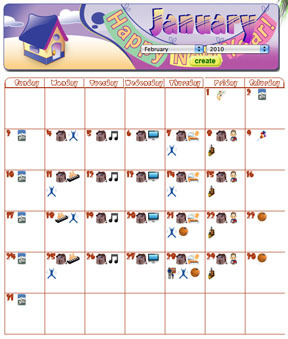 You can build your chore chart by dragging and dropping pictures from our clipart gallery into the columns on the left. Your toddler can then mark off when they have completed something. There is even a space on some of the days to mark off a chore that must be done in the morning and night. How much should I pay my kids for allowance? When should I start an allowance? 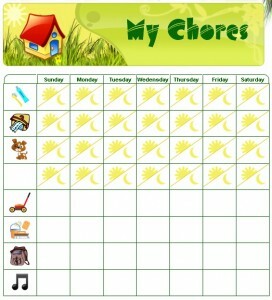 How do I make a chore chart for my kids? What are some age appropriate chores I can start with? Ah, the age old issue of money and work! It starts so young! And yet, we should be glad that it does. The sooner we teach our children about money, it’s worth and the value of a job well-done, the better off our children will be as adults. These are life skills that may seem trivial for a 4 or 6 year old to learn but it is at these early, impressionable ages that these lessons are most effective in turning into lifetime habits. So when should you start an allowance? 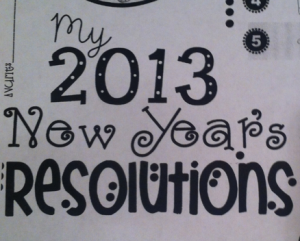 Well, here at MyTime Calendars, you can start even before your kids know how to read! Toddlers are very eager helpers. They are just starting to discover that they have a will of their own (hence the “terrible two’s” when you begin to hear the “no” word a lot!) and they are learning that choices have consequences and outcomes. Learning to understand that “cause and effect” is a huge milestone. Helping your kids start with a chore chart can really help them begin to understand their responsibilities in the family as well as this concept of “cause and effect”. It also helps them feel a bigger part of the family by taking on responsibility as a member. How you choose to reward these efforts will ultimately help them understand the difference between what is expected as a family member and what is considered “above and beyond” the normal expectations. And now the really tough question…what age do I start giving an allowance and how much should it be? From my experience, I have found that the allowance doesn’t really need to start until kindergarten. It is about this age that kids start learning about numbers and that those numbers have value. This then begins to translate into money and understanding the value of what it is and what it can purchase. That said, a toddler still likes to work towards rewards, a concept that is easy in the abstract and doesn’t necessarily have to be quantified to be effective (earn a trip to the dollar store, for instance, rather than earning a dollar). The system that has worked for my kids (ages 2-8) starts with basic chores that are expected because they are a part of a family (making the bed, putting away clothes, brushing their teeth, cleaning the table after dinner, etc.). Then we have the “extra” chores that earn them rewards (helping Dad with the yard work, extra reading outside of school, cleaning the windows/baseboards, etc.). These extra chores are worth a dollar each while the daily chores can earn them a dime per chore. My youngest gets a pick from the “treasure box” which is where we keep our “trash and trinkets” (remember, one kids junk is another kids treasure!). At the end of the week, we take stock of what was completed and collect our earnings. Sometimes we have dollar store visits where they can spend their earnings. Some of my kids prefer to save their money for a “big ticket” item while others prefer to spend theirs right away for the quick return. Our choice of 10 cents stems from a desire to teach them about savings and tithing (or other donation). We teach them to give 10 percent of their earnings to savings and 10 percent to tithing. This is an easy way to break down a dollar. The bottom line is that you need to know your children and decide what works best with your individual family dynamics. But hopefully these few tips might get you going. Give us your thoughts on how you handle allowances and chores with your kids…what worked for you? Follow this discussion in our forums! Can poor time management scare kids? Kids feel this way all the time. We tell them constantly “you have 5 minutes to clean your room”, or “we have to be ready to go to grandma’s house tomorrow morning,” or “you only have 2 days to finish that project.” While you might be giving your kids a “deadline”, you haven’t given them any tools to understand it. For instance, what is “5 minutes” or when is “tomorrow”, or how many days is “2 days”! …that last question had me laughing in spite of myself when I got that from my 4 year old! If you want to see first hand how difficult time is for a child to understand, try this little exercise. Gather your family and have each of them close their eyes. Tell them you are going to set a silent timer for 1 minute and ask each of them to clap their hands when they think the minute is over. Watch and see how many claps you get in just a few seconds! A minute will never seem so excruciatingly slow. Now ask each of your family members to draw a picture in one minute. Time them but ask them to clap when they think the minute is over. Give a reward for anyone who got it right. Ask your family what they thought about the minute…was it longer? Shorter? How long is a minute, really? Giving kids an understanding of time and how it moves can make their world a lot less scary. It can give them a sense of control over their lives and empower them to greater responsibility. When they can predict and prepare for upcoming events and understand exactly what is expected of them to prepare for those events, they are less apprehensive of their schedule and more excited to be ready and on time. Nothing will incite a toddler tantrum like interrupting them when they’re not expecting it and asking them to immediately move onto a different activity. Having a calendar can help them know what the order of events will be in their day. A chore/task chart can help them understand the steps to complete an activity and know what is expected of them to be ready for each event. MyTime Calendars allows you to share these concepts with your little ones when they need it most…as toddlers. One of the biggest problems with teaching time concepts to toddlers is the language…most 3-5 years olds are not fluent enough in their reading skills to make a written calendar productive. But using graphics allows MyTime Calendars to breach this barrier and make calendaring and chore/task charting easy and fun for early learners of all levels. Watch as your toddler takes an active part in planning their schedule and then actually begins preparing himself for the events! As a parent, there is nothing more exciting than watching your little one become more responsible and as a result, more helpful.